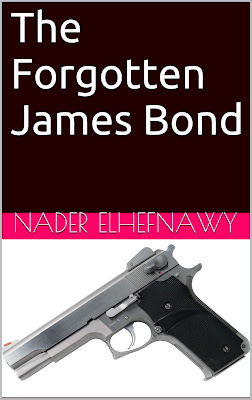 My new book, The Forgotten James Bond. It focuses on those aspects of the franchise that tend to get overlooked, or which most who talk about the series seem to know only vaguely--like exactly how the '60s-era Bond films helped shape the action movie, the special place of the 1967 Casino Royale movie in film history, and the continuation novels that came after Fleming. It is now available in both e-book and paperback editions. You can also read it at the Kindle Library. If you'd like a preview, you can get one over at Google Books. To everyone who's taken an interest in my writing, here on this blog and in my books: again, thank you.